I just learnt that Robert Anton Wilson has died. I'm sad. 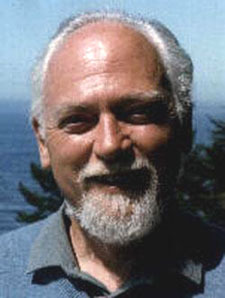 Robert Anton Wilson influenced my thinking more profoundly than any other author. He literally changed my life, and I owe him a debt of gratitude. Thanks, Bob. It's been a while since I've read any Wilson, and decades since my first Wilson mindfuck. Yet, coincidentally, I was thinking about Hagbard Celine and his submarine just the other day (a recollection triggered by seeing that Sealand is for sale). Like it says on the back cover of Leviathan, "You will never forget this ultimate reading trip to the outer limits of the contemporary nightmare..."